This month marks the Lunar New Year, where more than a billion people around the world are celebrating the new year and beginning of the Year of the Pig. In Australia, we have already seen the dumpling world record broken as the Sydney Chinese New Year Festival draws in crowds from around the world. With such a unique moment, it is worth reflecting on the rich history that China has, and taking a rarely before seen journey into what life was like in China almost 40 years ago. In the Spring of 1980, photographer Mike Emery was on board one of the first ever American passenger cruise ships sailing the China coast. No one on board had been to China, in fact, it was a seldom visited country for westerners. Mike found himself arriving at a time of rapid change and excitement, with economic, political and cultural reforms sweeping the country. With his bright clothes, fair hair and Nikon camera, Mike stood out in the streets of the cities he visited in China. Local people were intrigued, as Mike played the clown to gauge reactions. He’d pull faces, poke out his tongue, and even lay in the middle of the street to get noticed. Sometimes he’d get crowds of up to 50 people wanting to speak English or just satisfy their curiosity about this strange westerner. As a result, Mike was able to capture the essence of the time, both in people’s faces and the unique urban landscapes they inhabited. 39 years later, and Mike has collected his finest images and memories into a uniquely beautiful hardcover coffee table book. China’s Children is not solely a collection of works featuring children, rather it captures a time over which a generation grew up. It captures everyday people in their lives with a freshness and reality rarely seen. Colour photography from this time is extremely rare and images of this quality are hardly ever seen. Capturing a simpler time, the book features everyday life in Beijing and Shanghai. Perhaps you grew up in China in this time? This beautiful book offers a unique opportunity for people who may not have photos of their own from this time. Sharing these precious memories with family and friends is a great joy that appeals to every generation. 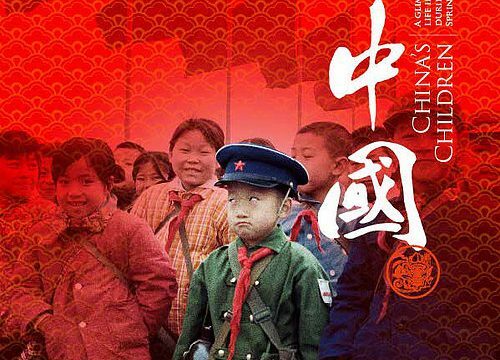 In celebration of the Lunar New Year, Mike Emery is giving away three copies of China’s Children. To receive a copy of the book, please email competitions@thebigsmoke.com.au, and let us know your favourite way to spend Chinese New Year! Visit his website today: www.chinaschildren1980.com.